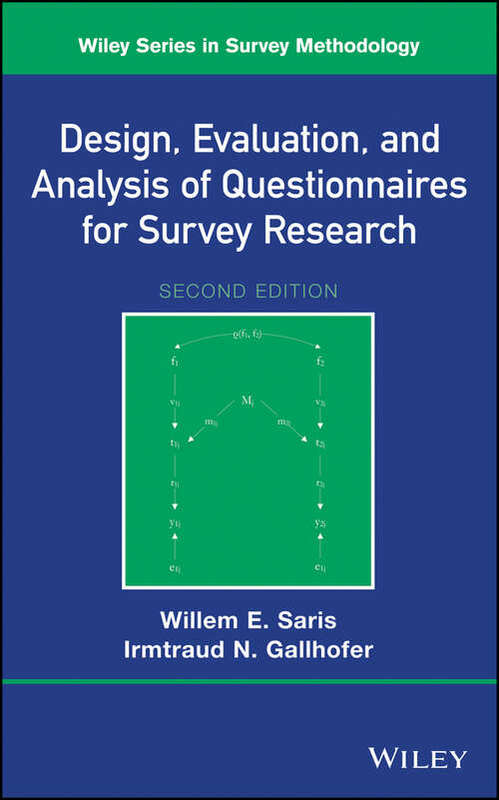 Design, Evaluation, and Analysis of Questionnaires for Survey Research, Second Edition explores updates on the statistical knowledge and development of survey questionnaires, including analyzing the important decisions researchers make throughout the survey design process. The new edition provides coverage of an updated SQP program, which has an expanded question database from the Multi-trait Multi-method (MTMM) experiments. This book aims to give students and survey researchers a state-of-the-art introduction to questionnaire design and how to construct questionnaires with the highest relevance and accuracy. The pitfalls of questionnaire design are outlined throughout the book, which alerts designers of questionnaires to the many prior decisions that will affect the quality of the research outcome. It is important to measure the quality of questions at the outset in order for students and researchers to consider the consequences and methods of achieving reliable and effective questions.